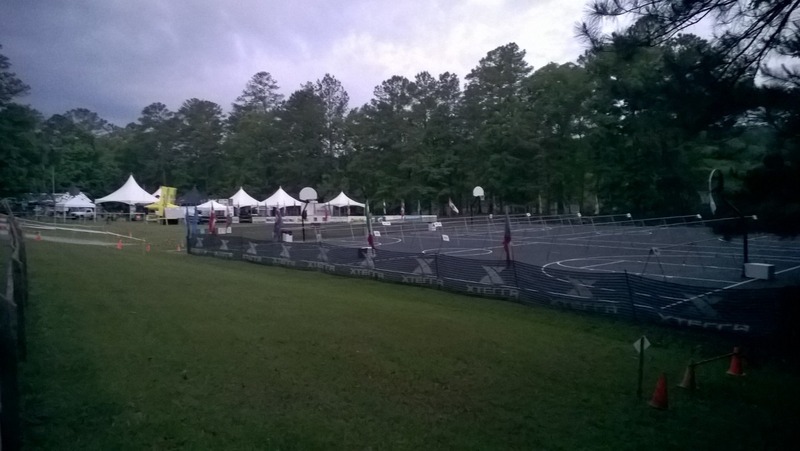 The XTERRA Southeast Championships in Pelham, Alabama will always hold a special place in my heart. It’s partly due to the fact that it was the second triathlon I’d ever done (in 2007) and partly due to it being home. I was born and raised in Alabama and although I haven’t lived there since graduating from high school, it will still always be home to me. Even though Alba, the kids and I live in North Carolina, all of my extended family still lives in Bama. It’s been that way for generations. 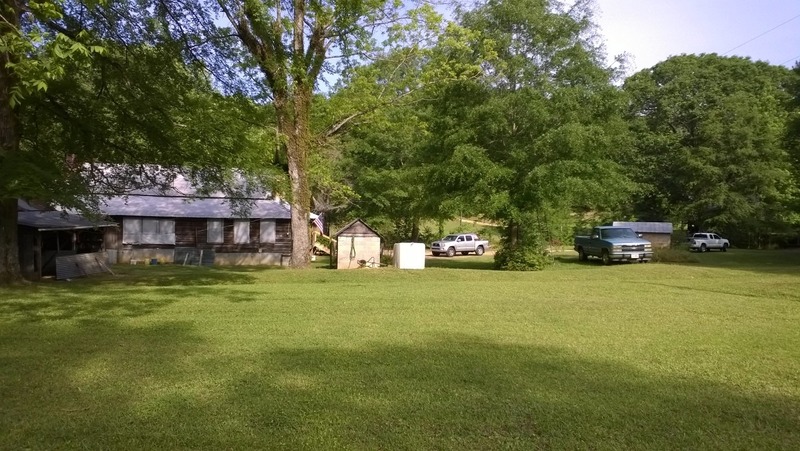 Heck, our family still lives on land that was settled by Bartons back in the 1800’s. 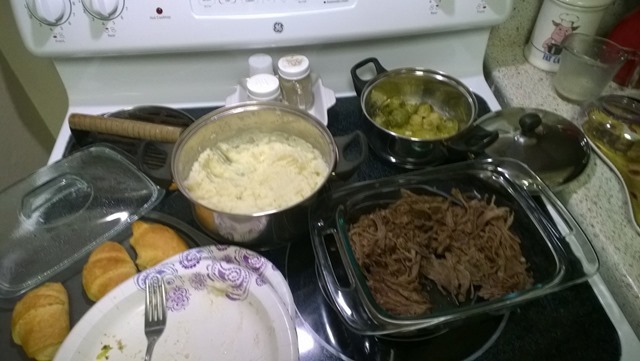 I stayed with my parents and they tried their best to derail my good eating habits with pot roast, peas, butterbeans (with the ham), mashed potatoes and cornbread. 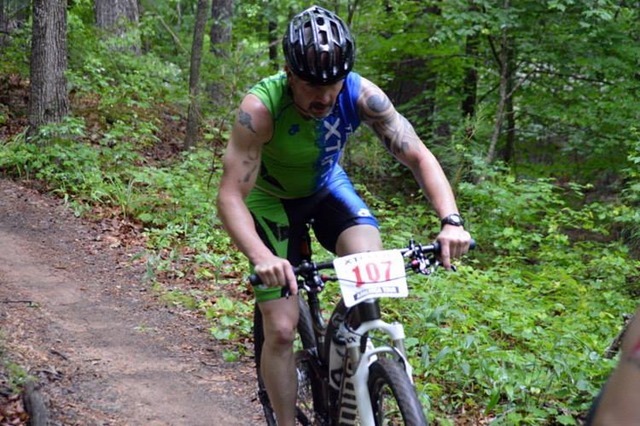 I managed to get in quite a few rides and runs at Oak Mountain in preparation for the race. The EPC Multisport Group Coaching for that week consisted of a few brick sessions as part of the race week taper. 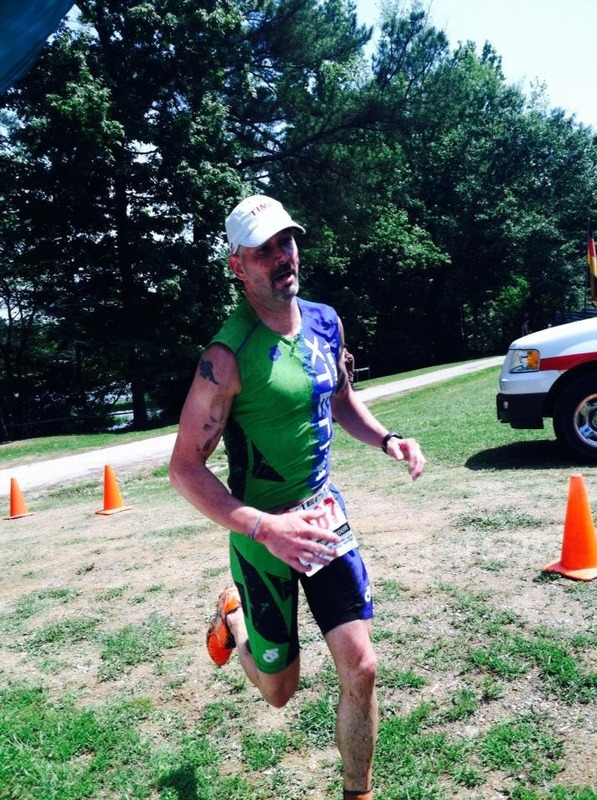 During one of my brick sessions, after a lap of the course, I went for a lap of the run. On the run course, when you get to the dam, you have to traverse a bridge that crosses the spillway. The lead-in on the bridge is a hard left turn that in years past has been slippery, so I always try to focus on my footing. One day, during my run, I looked down, focused on my footing and ran onto the bridge. When I picked my head up, I saw a red tail hawk sitting on the railing at the end of the bridge. Upon approaching him, he flew off before I could get a photo. This wouldn’t have been as freaky of an occurrence if it had only happened once, but the very next day, it happened again, in the same exact place, with him sitting in the same exact spot. This time, I was armed with a camera and not only got a photo, but also captured a video of him. The picture doesn’t do it justice, you HAVE to check out the video. That afternoon, I wanted to take my bike into Cahaba Cycles to have a new set of bearings pressed into the bottom bracket. They’d needed replacing for while and I had put it off long enough. Rather than take them a dirty bike to work on, I washed it up only to find this little problem during the process. Apparently, during a previous rebuild of this wheel (after I wrapped it around a tree), there was an all-important, teeny weeny, washer left out. This little washer normally helps to disperse the pressure, but in it’s absence, it slowly allowed the spoke to pull through. I’ll spare you the gory details, but this little problem resulted in American Classic over-nighting a new rim to the shop and a last minute rebuild. It was quite the expensive endeavor. I didn’t have to bribe the mechanics with beer, but I gave Brian a six-pack anyhow for doing such a great job. Now, I just have to hunt down the guy that previously built the wheel and visit him with a sock full of potatoes. For this race, I totally goofed and didn’t properly plan my pre-race breakfast. In all the hustle and bustle the day prior, I totally forgot to hit the store. 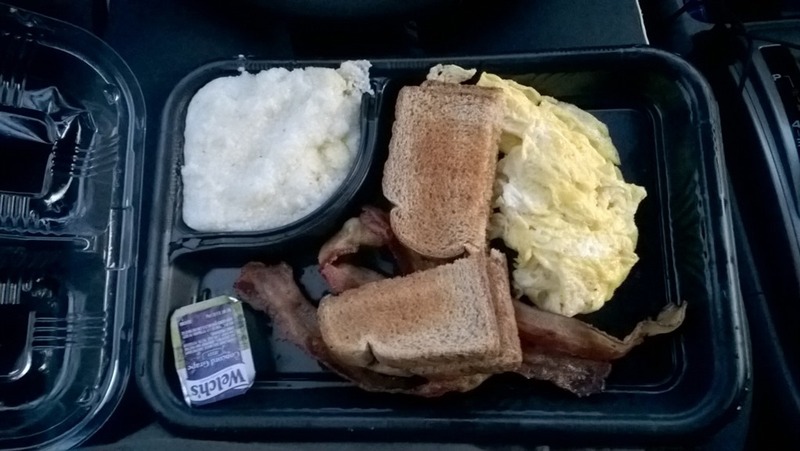 Needless to say, on the way to Oak Mountain, I had to stop in at Waffle House for a breakfast of champions. I grabbed it to go and on my way out I bid good morning to some of the XTERRA crew going in. 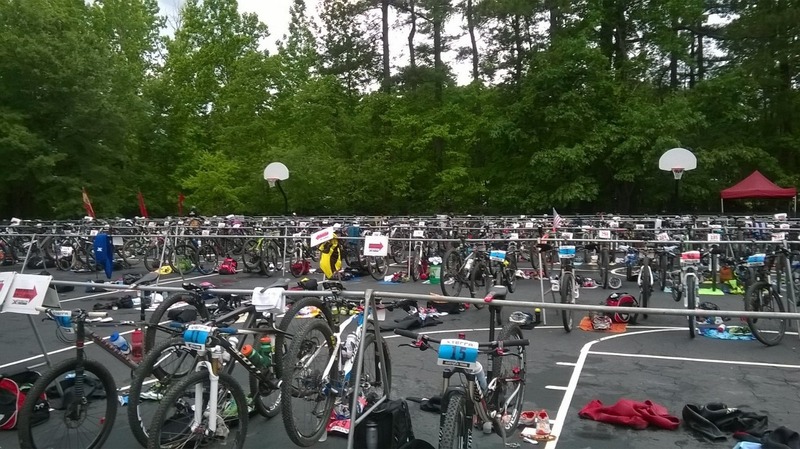 The race venue and transition area was a beautiful sight and there’s nothing like it to get butterflies in your stomach stirring in anticipation. Oh wait. Maybe that’s the Waffle House I felt. Rain began to fall, even though it was not forecasted to do so (or at least the percentage was low) but thankfully, it let up just before the race started. 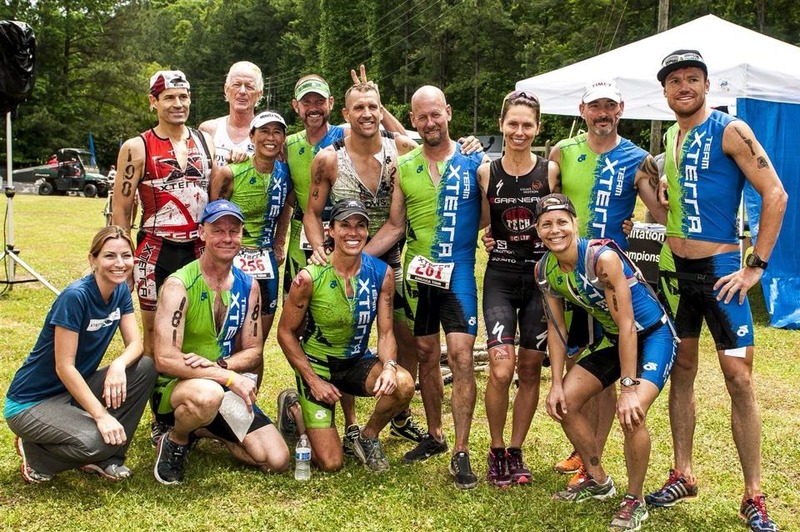 The week leading into the race, there was a lot of banter on the XTERRA Southeast Athletes Facebook group as to whether the swim would be wetsuit legal or not. 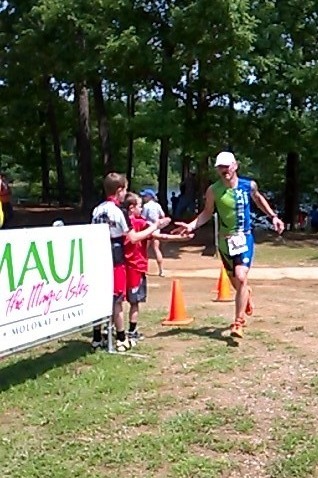 Generally, folks were giving Casey Fannin a hard time since he loves wetsuit swims (insert sarcasm here). The weather combination of low night temps and rain caused the water temp to dip below the legal bar. 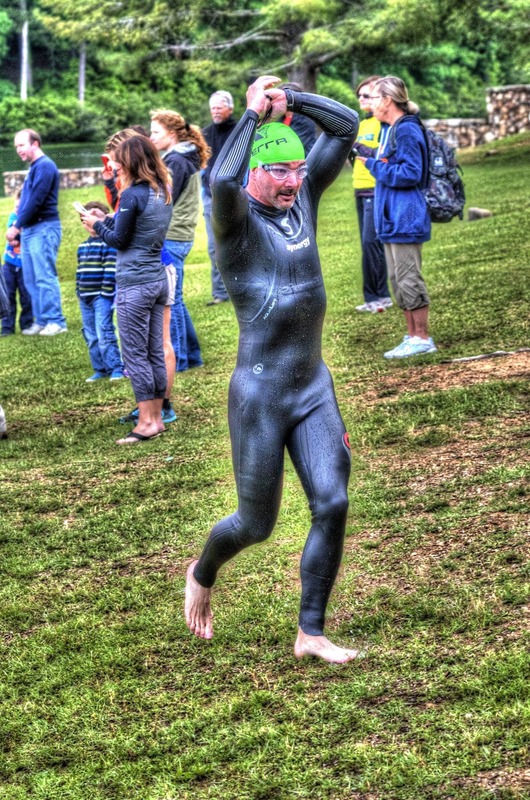 My friends at Synergy sent me a skin suit in prep for this race, but I got to wear the wetsuit instead. The pros got a two minute head start before the rest of the racers received the starting canon. 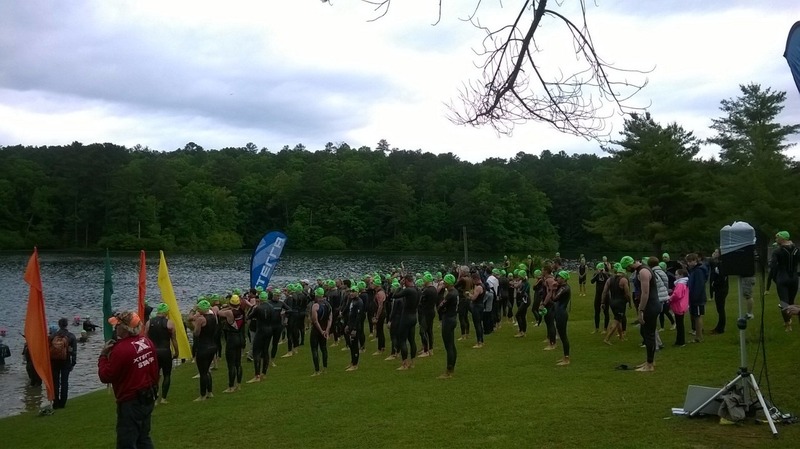 The two-lap, 750 meter swim (1500 total) went fairly well for me since I found clear water early. My goggles fogged up quite a bit and I had to stop briefly after the second buoy to lick them. During the second lap, I managed to catch up to the backend of a chase pack. 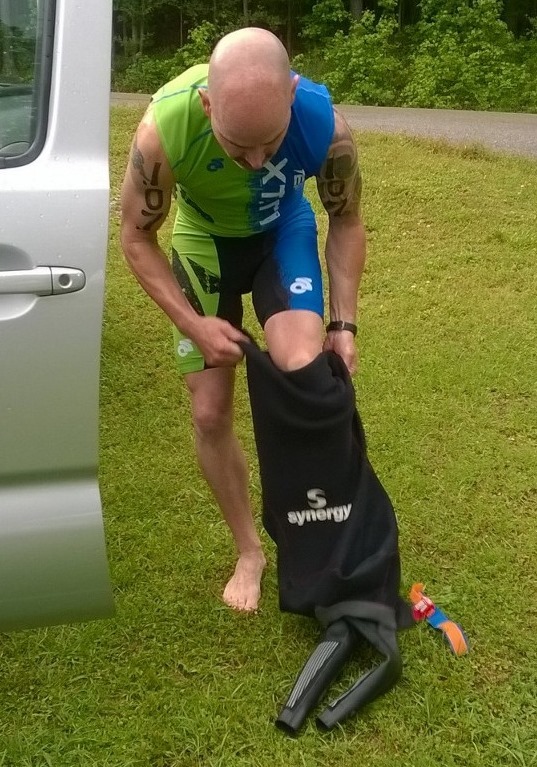 My goal of swimming just hard enough to do well, but not so hard as to overheat in the wetsuit, seemed to work ok.
Coming into transition, most of the bikes were still there, so I knew I had finished my swim in a pretty decent place. Best that I could tell, there were twenty or so championship racers ahead of me. All of the sprint racers were still out on the course, so their bikes were absent. The bike course was slippery from the morning’s rain and there were people crashing right and left. There was lots of traffic in the first couple of miles, many times with racers stacked up in a train 5 or 6 deep. For the most part, everyone was nice and yielded when asked for a pass. I caught up with Darren Cox somewhere near the pump track. He had crashed hard and was still attempting to get his wits back. Shortly after catching up, the skies went eerily dark, so much so that we had a hard time seeing the trail. We could have used some headlights for sure. Next thing we knew it started pouring rain and did so for close to the next 30 minutes. My riding style and strategy had to be modified a bit to account for the wet conditions. 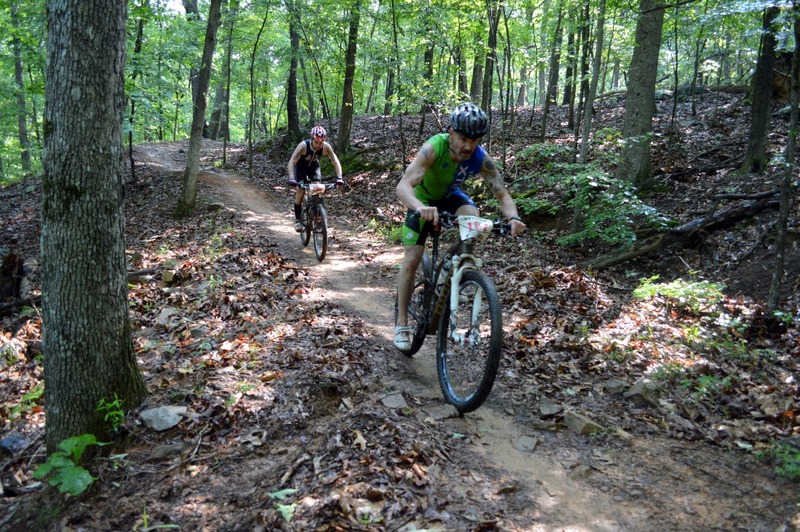 Darren and I stayed together throughout most of the race, leapfrogging as we went, taking turns leading. Once we made it up the long fire road climb, complete with loose rocks and small boulders, we caught up to Frank Fernandez-Posse, another racer in my age division. As we continued to climb, we passed Frank and kept on trucking. I thought it’d be the last I’d see him but he proved me wrong as he whizzed past me with a whoosh and a blur on the descent into Blood Rock. He was hauling! Darren and I continued our leap frogging, trying to catch back up to Frank and just before Rattlesnake Ridge, I looked at my Timex to see where we were time-wise. It was then I decided to hop up front and pick up the pace. 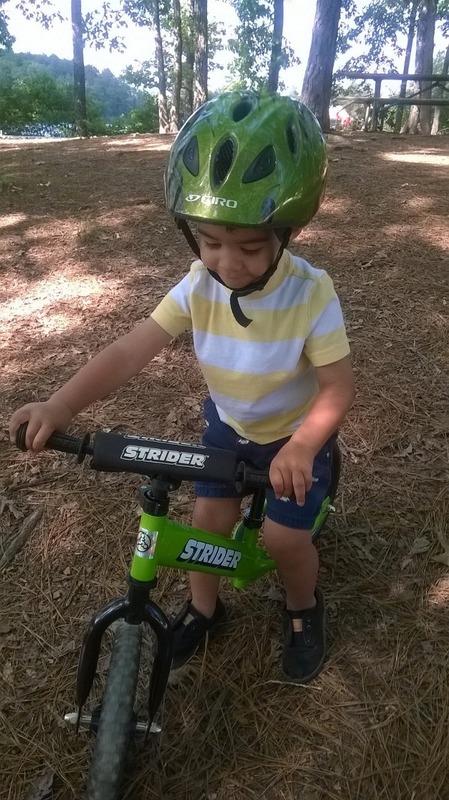 By the time we finished the bike, the sun had come out and blue skies prevailed. For nutrition, I stuck with my tried and true GU Roctane drink with an extra electrolyte punch by adding a GU Electrolyte tablet. I didn’t want to carry two bottles and since there was a bottle hand-up before the climb, I figured I could take in the extra fluid there. It worked flawless except for the fact I dropped the bottle when I grabbed it from the volunteer and had to come to a screeching halt. The bike held up well despite the muddy conditions. 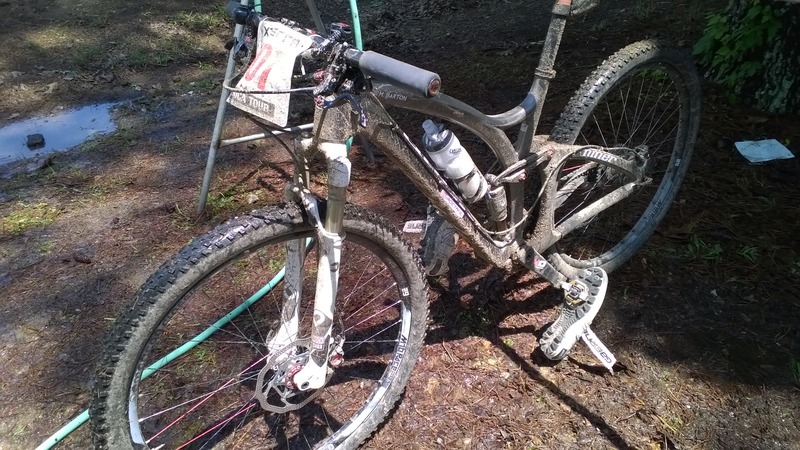 After the race, I noticed the only clean part of my bike was the ESI Grips which work well in ANY conditions, even muddy ones like this race. 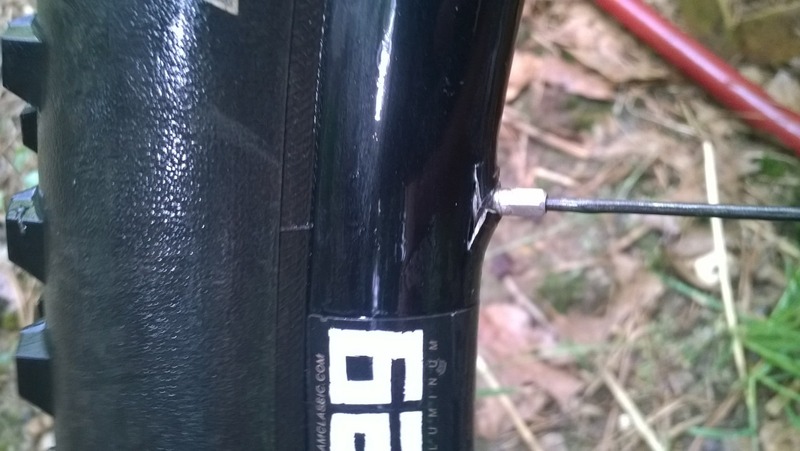 The Schwalbe Rocket Rons with snakeskin held up well for me without any punctures. They hooked up well in the sketchy turns despite the loose rock and mud. Coming into transition, I was right behind one of the female pros and Frank. I transitioned as quickly as I could and ended up passing quite a few folks in the process before taking off onto the run course. I guess I must have passed Frank in transition, as I didn’t see him on the road section that makes up the beginning of the run. Jack Cartwright, another racer in my age group, passed me during the initial quarter-mile of the run and slowly pulled away. I was hoping that maybe there was a chance that he would slow down, thinking that he was taking off too fast initially, but I would be proven wrong. He’s just a fast runner! Not knowing who is on their first lap or second, I decided to not take any chances and pass as many folks as I could, especially on my second lap. I tried to catch Jack, but I just couldn’t run him down. Overall, I think it was a successful race. 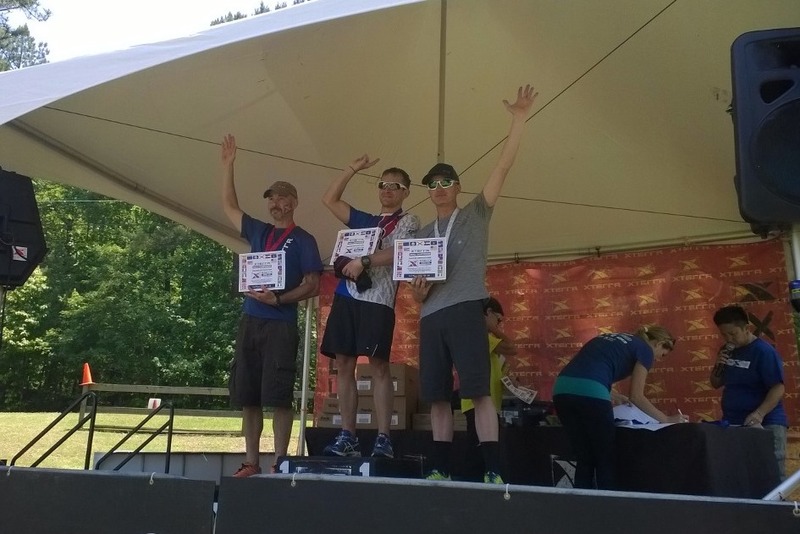 I ended up 2nd in my age group, 7th overall amateur and I earned my XTERRA World Championships slot. I truly wanted to finish on top of the podium like I did last year, but it just didn’t happen. Anyone who knows me probably also knows that I’ve dissected the race and my efforts nine billion ways to determine where to improve. I have a couple of ideas and will be putting them into practice over the next couple of weeks. 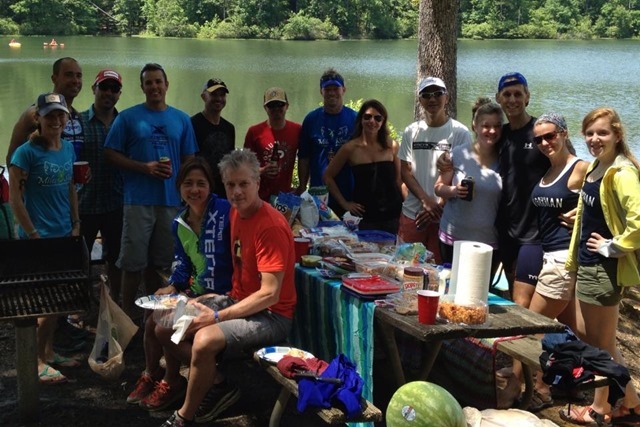 As always, it was great to see all of my XTERRA family again, including my fellow XTERRA Ambassadors and to hang out at the Workman’s post-race picnic. 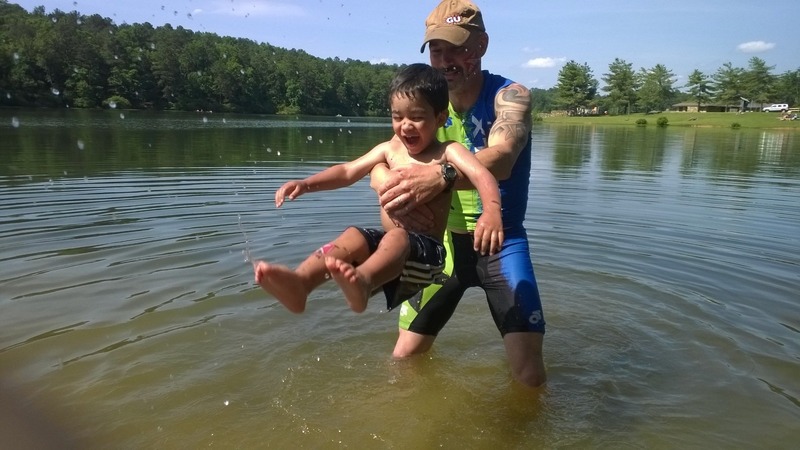 Not only did Little Man get to ride his bike all around the race venue on Friday and Saturday, but he even took part in a little swim.